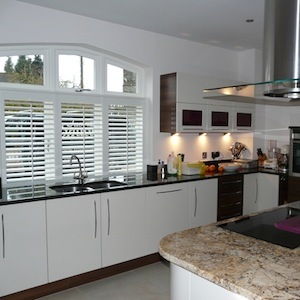 Café style shutters (also known as half-height shutters) are perfect for creating a beautiful design impact. 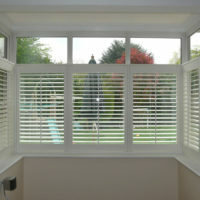 These stunning shutters allow complete privacy and offer maximum light to flood through simultaneously. Only covering the bottom section of the window, café style shutters offer the benefits of full length shutters but with the added element of leaving the top section of the window completely bare, for a light, bright spacious look. 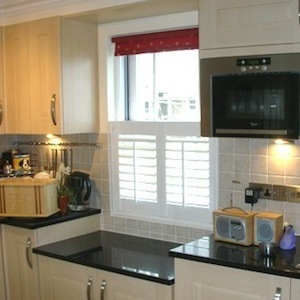 Many people opt for café style because it is the perfect solution for adding privacy. 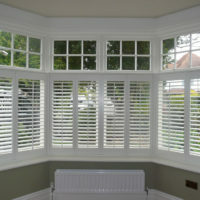 However many also opt for these stylish shutters as they give the perfect continental design touch to a room. 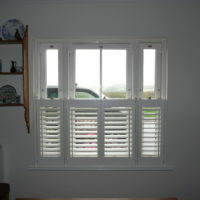 As you can see from the images, the café style shutter is perfect for any room. 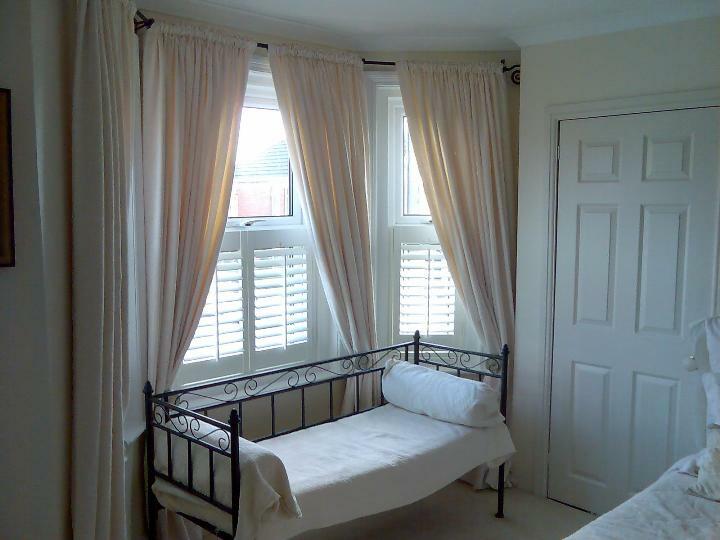 It is often opted for in a ground floor setting to stop prying eyes. In a kitchen or dining area they can add charm, reminiscent of a French bistro. 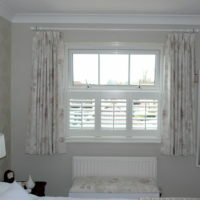 In the bathroom they can shield you from view. 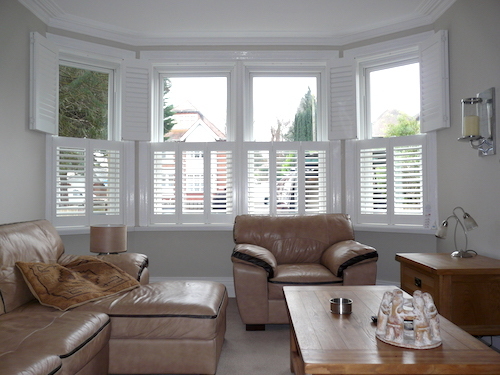 Our shutters come in a range of materials and will not warp or distort in a moist environment. 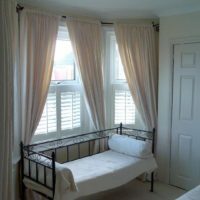 In a bedroom you could couple them with drapes (see gallery image) for night-time cosiness, whilst offering privacy and light during the day. 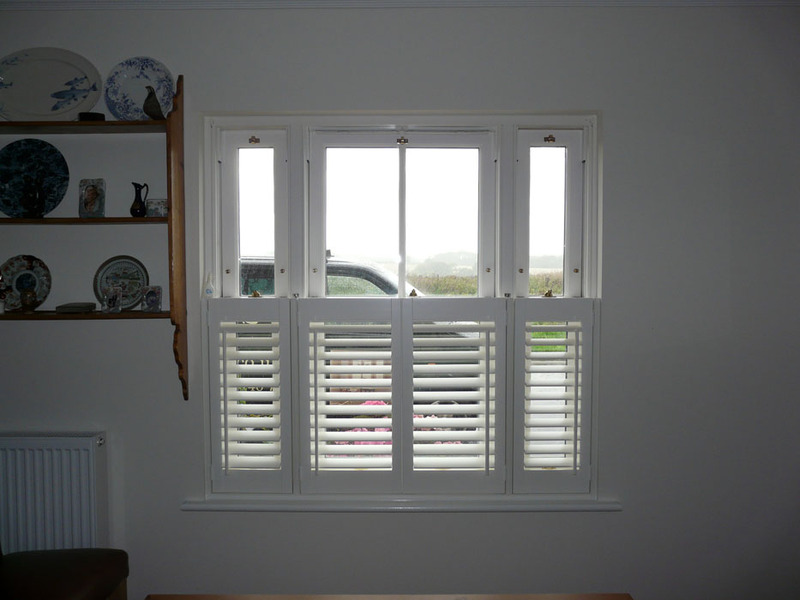 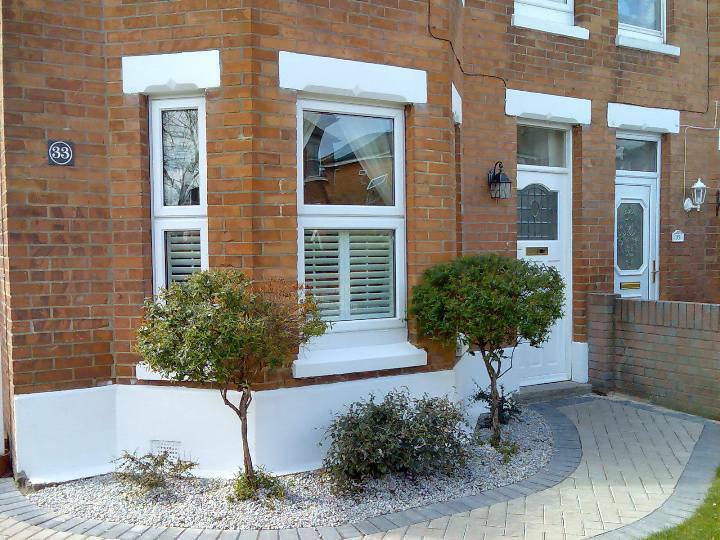 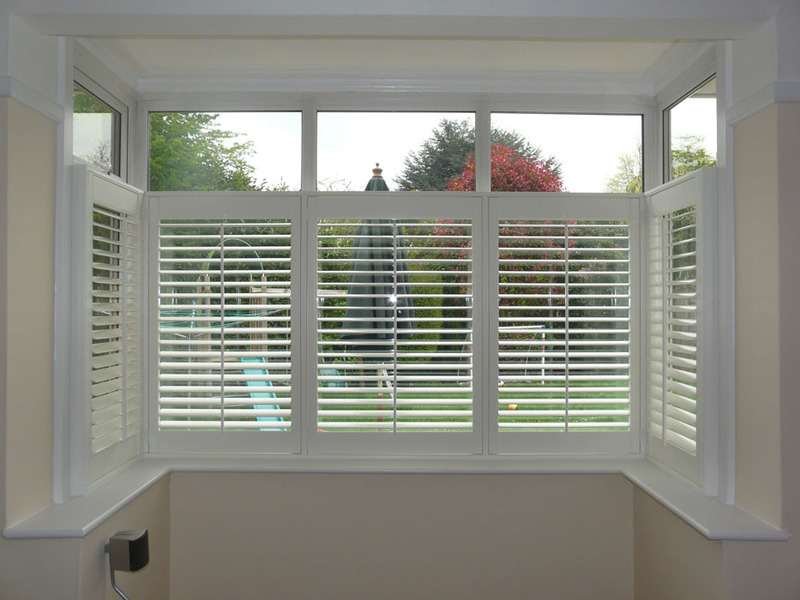 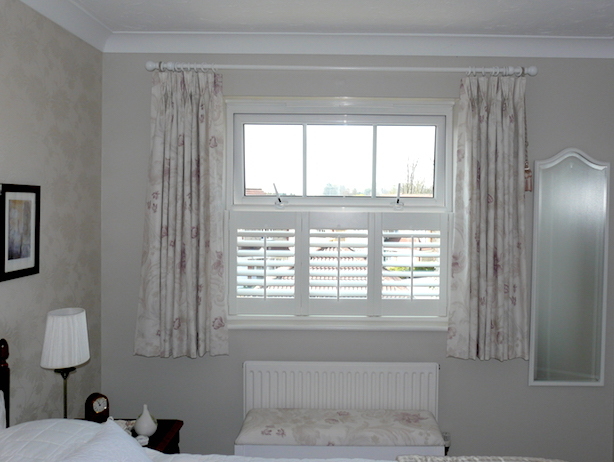 As with all our styles of shutter we can offer a variety of materials and finishes. 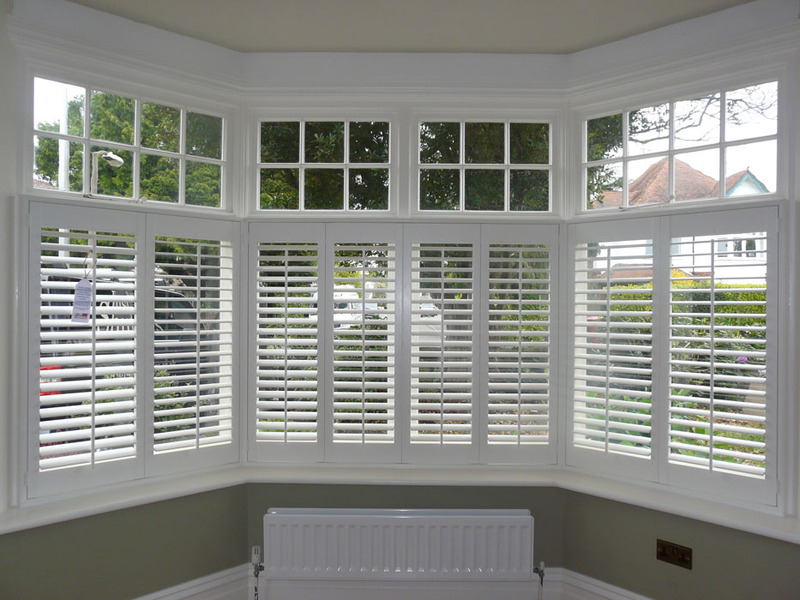 We pride ourselves on our extensive range to ensure whatever your home and style we can match the perfect shutter! 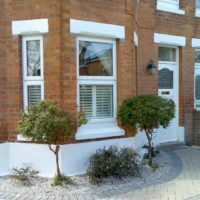 Please call us on 0845 8940700 or follow the links below.